review forth-coming shortly on Amazing STories Mag.My review of this and a collection by Dan Smith is up on Amazing Stories Magazine:http://amazingstoriesmag.com/2014/01/...Enjoy! J.E. Stanley - J.E. 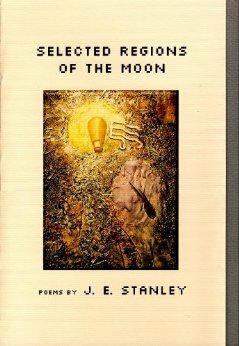 Stanley asserts that, winged or not, Man was always meant to fly; the moon and stars are just there as incentives. He is also the author of Selected Regions of the Moon (NightBallet Press), Rapid Eye Movement (Crisis Chronicles Press), Dark Intervals (vanZeno Press), Dissonance (Deep Cleveland Press), Ink (Gypsy Lips Press), and co-author (with Joshua Gage) of Intrinsic Night (Sam's Dot Publishing).